I read this article and found it very interesting, thought it might be something for you. 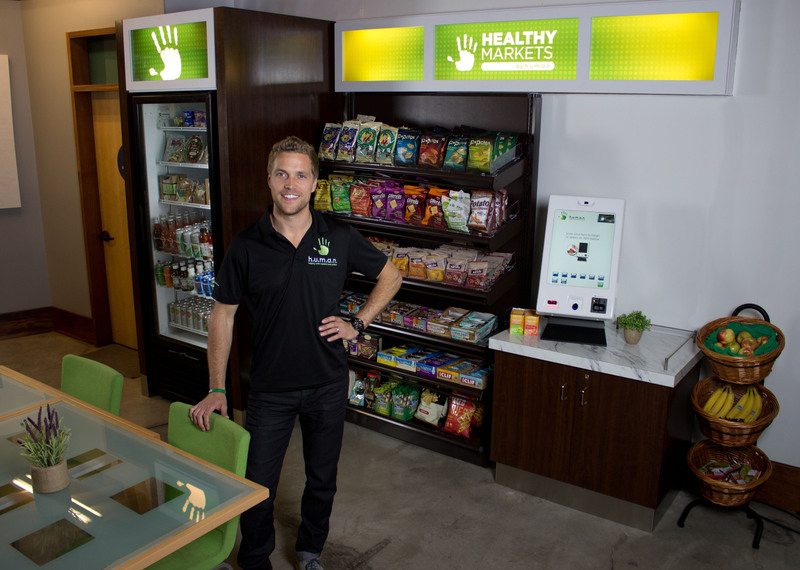 The article is called How We Sold 5,000,000 Healthy Snacks In 2014 and is located at http://www.healthyvending.com/blog/how-we-sold-5000000-healthy-snacks-2014/. Have you ever chosen junk food over healthy food? Do you worry about about what your kids eat at school? At soccer practice? Or debate club? Does it feel impossible to stick to your diet at the office? Now, imagine a world where healthy food was the only convenient choice…what if you could make this a reality in your community, for your friends, family, and children? 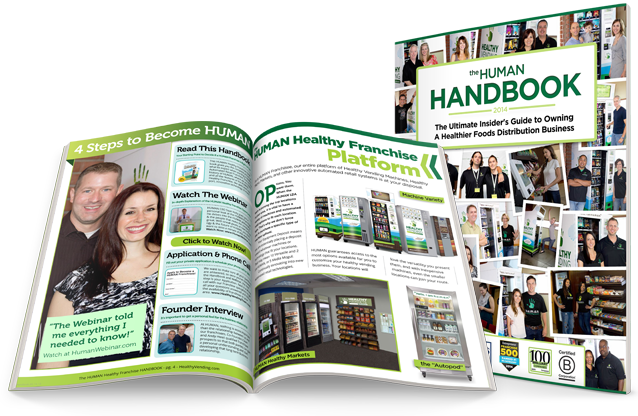 To discover the answer to how our franchisees sold 5,000,000 healthy snacks in 2014—we need to talk more about choice. As stated in a previous post–on the last day of 2014 articles that discussed “easy dieting” were shared via social media over 23,000 times, those involving “quick healthy recipes” were shared a whopping 37,000 times, and a single BuzzFeed article about clean eating was shared over 10,000 times…in 24 hours. It’s pretty clear that a large number of people want to be healthier, but this doesn’t change the fact that 70% Americans are still overweight. This means that there are potentially 220 million people nationwide that want to eat “better,” but they struggle to do so because they lack convenient access to health food. Right? Is it a choice to eat junk food when healthy food isn’t available? Couldn’t we also choose to seek out healthy options? When Sean and Andy founded H.U.M.A.N., they came to a similar conclusion. They initially placed their healthy products alongside unhealthy foods and drinks, hoping to provide healthier snack alternatives to local schools, gyms, and businesses. Customers still purchased the junk food with which they were familiar. So Andy and Sean decided to try something different — place ONLY healthy products in H.U.M.A.N. branded machines, away from other unhealthy products and machines. Sales skyrocketed. Provided with only healthy options, people not only purchased the new products, they didn’t miss the junk! Today, HUMAN’s healthy machines generate twice the revenue of “traditional” vending machines. All of this goes without saying that choice is indeed important. HUMAN offers a large variety of healthy foods — enabling people to choose among the healthy snacks they love. And that added up to more than 5,000,000 healthier choices last year. Would you like to eliminate choice within your community? P.S. Stay tuned for next week’s post, 5 Productivity Tips That Will Blow Your Mind!